With the NXT call-ups being announced recently, the next few weeks will be important in opening up opportunities and determining the pecking order for the majority of the NXT roster. Sure, maybe Nikki Cross, EC3, and the others didn't really leave such a lasting mark on the show, but the move to the main brands does leave positions open for up-and-comers such as the Forgotten Sons, Street Profits, Keith Lee, Matt Riddle, and Dominik Dijakovic (to name a few) to be featured more on TV and to insert themselves into the title picture. Now, on to this week's episode. With this week being just the third episode of NXT this year, it was pretty much another series of hype materials for NXT Takeover: Phoenix to help refresh and reinforce viewers of the matches and rivalries going on at the moment. I'm amazed at how NXT's production value feels different than the main roster shows. With a smaller roster and a shorter time slot, the Superstars are actually given focus and the team behind NXT can experiment on unique approaches for promos. For example, those delivered by Aleister Black, as well as the War Raiders' vignette have a place on the show, but will probably have no room on RAW or SmackDown Live due to the overabundance of Superstars on the main roster. Somehow, it makes me wish for them not to be brought up. 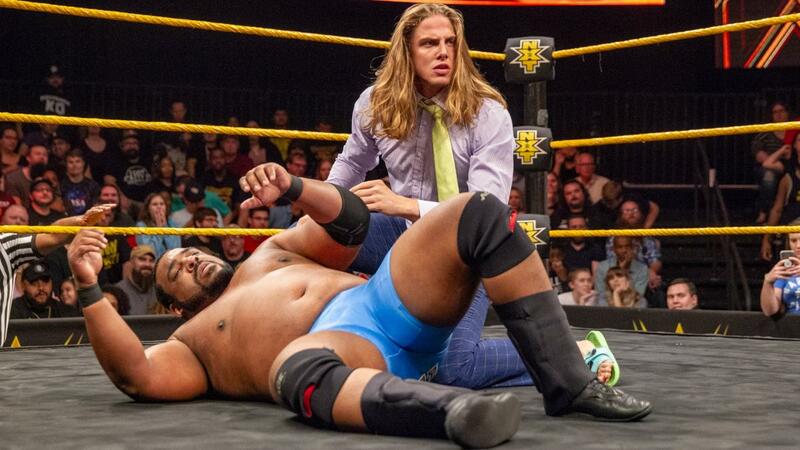 The main event saw Kassius Ohno duke it out with Keith Lee in an unofficial continuation of the Ohno/Riddle feud. You might remember that when this all started, it was Ohno calling out Riddle and Lee for being GM William Regal's shiny new toys. So the match itself wasn't one made just to pad out this week with a high-caliber match-up. As expected from brawlers like Lee and Ohno, it was a showcase of hard-hitting action from both of them. Some stiff shots definitely looked like they hurt, with strikes and boots sounding like they tore through skin. If you're a fan of big-time hoss fights, this will pique your interest. This was their first encounter on NXT, so a clean victory wasn't really expected. The end saw Ohno going over Lee (a rare instance for Ohno) via a low blow and Rolling Elbow which was a necessary cheap finish so that it would make both competitors still look strong. This brought out Riddle to close out the show with shots of him helping his friend while staring down Ohno from the ramp to continue the rivalry. These men have battled each other in one form or another during their stints in different companies so we know that they're capable of stepping up to the plate and delivering their A-game. It's going to be interesting once the powers that be pull the trigger and assign any combination (or all) of these three men in a PPV-worthy main event. But for now, we'll have to make do with teaser matches like these. I enjoy Montez Ford's antics (plus that dope Frog Splash) but I can't seem to get behind Angelo Dawkins. Dawkins in the tanktop looks like a tito who does aerobics. The Bianca Belair confrontation with Shayna Baszler, Jessamyn Duke, and Marina Shafir felt flat to me because of how Baszler and Belair delivered their lines. Duke and Shafir still seemed green as well so it didn't help. The words they exchanged were well-written though, so in part, it helped do its job in getting heat. 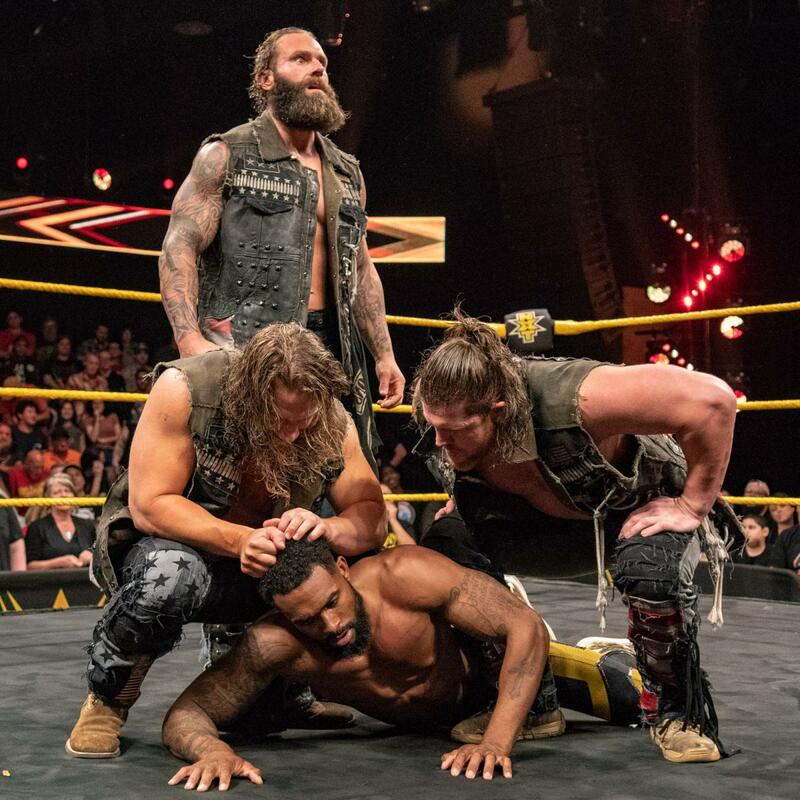 I'm not totally a fan of the Forgotten Sons but Jaxson Ryker is going to be a future star in NXT once he splits from this group in the future. That Aleister Black promo gave out some sick 90's Undertaker vibes. Likewise, the War Raiders vignette felt like a New Generation clip. I miss pre-recorded promos like these ones. I've never seen Capoeira in wrestling before. Thank you Adrian Jauode. It was pretty interesting amidst a losing effort. Dominik Dijakovic gives me Ryback and Brock Lesnar feels. RyBrock? Only time will tell what Dijakovic can achieve in the WWE, but it isn't so bad that he gives me those kinds of vibes as both men were champions in their own right. Johnny Gargano continues to come across as a douchebag. The smiles, the talking to the camera, capping it off by taking and admiring a fan sign. I wonder how they'll turn him back into a babyface if he ever resumes the feud with Tommaso Ciampa. I'm starting to hate him more than Ciampa now. Ciampa, at this point, is the heel you want to cheer.